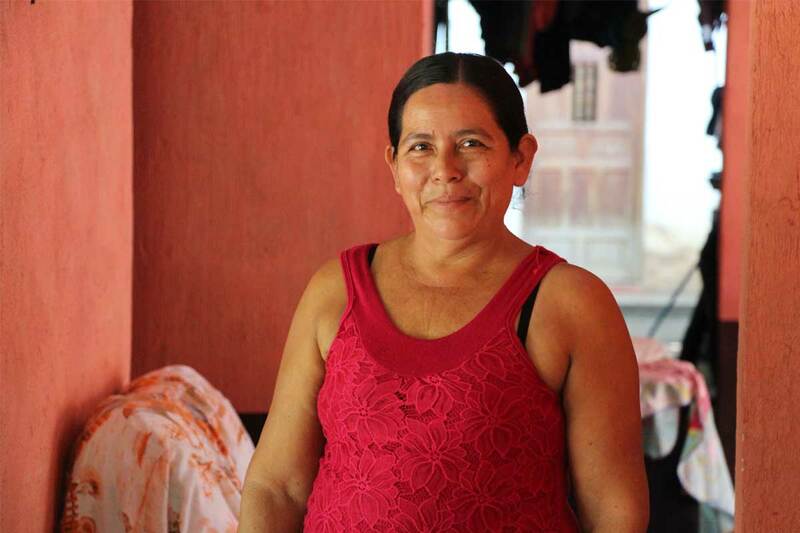 Modesta, a mother of nine in Guatemala, offers wisdom on raising a large family. As moms, we all have moments when we question ourselves and our motherhood. Are we doing it right? Are we doing what’s best for our children? Let these wise, loving words from a mom in Guatemala encourage you this Mother’s Day. Modesta is a mother of nine children ranging in age from 14 to 34. She lives in Guatemala, where both she and her husband work to support their large family. “Children are the joy of this home,” Modesta said. “I would lie if I’d said that it´s easy. It´s not easy. My husband is out most of the time because of work. His pay is not able to cover everything. I must work in the fields harvesting corn. Modesta’s life is not short of hard work, which she does joyfully to take care of her children and give them a better life. She knows exactly why she works so hard each day. Modesta didn’t get a chance to finish school. Despite many monetary challenges, Modesta is confident in the love she gives her children. She also teaches her children about the value of hard work and doing their part to help out at home. She offered some advice for parents. Modesta’s daughter, Yuri, was sponsored for 15 years, which helped to ease the burden on the family. “I want to thank you for all these years you sponsored me. My family and I do not have anything to pay you for the benefits we received, such as pigs, chickens, groceries, school supplies, shoes and clothes. All of this was a huge help for my personal success as well as for my academic preparation. … I have completed my final semester and am working in my field of nursing. “Thanks be to God, I am doing great and I help my family financially. But without your help, none of this would be possible. As we approach Mother’s Day, we give thanks for loving, dedicated mothers like Modesta, and the many lessons they teach us. And we give thanks for sponsors like Brian and Kari who help families like Modesta’s flourish.